Our story begins at the turn of the last century down in Mexico, where a broken down circus barely ekes out a living touring the small villages along the Rio Grande. Enter Tuck Kirby (Franciscus), a former stuntman for this one-lung outfit, who now buys acts for Buffalo Bill's renown Wild West Show. There to purchase Omar the Wonder Horse, whose act is diving off a high platform into a blazing pool of water, Tuck runs right into a brick wall when T.J. Breckenridge -- the show's owner, Omar's rider, and Tuck's former flame -- refuses to sell. Not one to give up that easily, Tuck keeps pressing and pushing her buttons. Turns out there's still the teeniest hint of a romantic spark between these two, and in the ensuing battle to fan the flames, and to see who gets to be on top, T.J. (Golan) reveals that Omar can't be sold because he's an integral part of the show's new main attraction, and then unveils El Diablo: the World's Tiniest Horse. It's kind of ironic that it was England's Hammer Studios that got master movie animator Ray Harryhausen back in the dinosaur business. 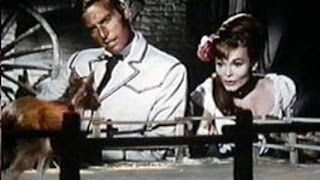 For it was the same studio's gothic horror-shows that sounded the death-knell on the resurgent sci-fi boom of the 1950's and effectively brought an end to all those giant monster movies. (With one notable exception over in Japan.) But when they hired Harryhausen to provide the F/X for One Million Years B.C., with the film's resulting box-office success, dinosaurs were suddenly back in vogue. 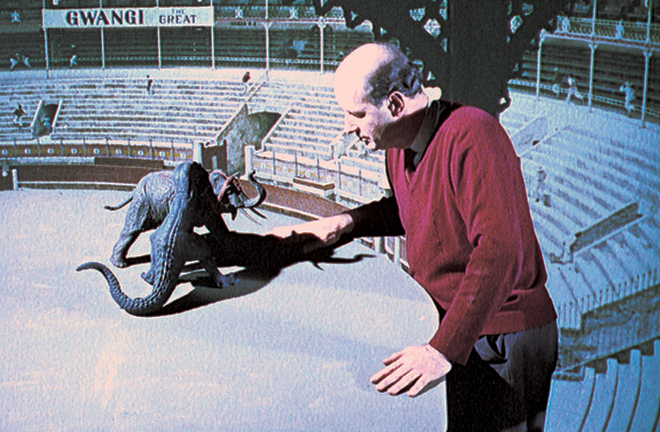 And that's why after a string of successful fantasy yarns based on the myths and legends of old, Harryhausen's long time creative partner, producer Charles H. Schneer, decided that their next collaborative project should also be set in prehistoric times. Looking back to his own past for a suitable concept to fit the bill, Harryhausen recalled a certain aborted project by his one-time mentor, Willis H. O'Brien (pictured above), called Gwangi -- a Native American word for "big lizard." After the success of King Kong, O'Brien dreamed up several more fantastic F/X driven pieces, including one about a group of rodeo cowboys who venture into a hidden valley, where, after discovering that it's inhabited by dinosaurs, in perhaps the wildest round-up scene ever conceived, they try to rope and capture an Allosaurus. Unlike his other unrealized project, War Eagles, Gwangi was well into the pre-production stage before RKO pulled the plug over budgetary concerns. But part of Gwangi still managed to survive, when several set-pieces were incorporated into Mighty Joe Young, including the team-roping sequence and a climactic battle between the gorilla and several lions. 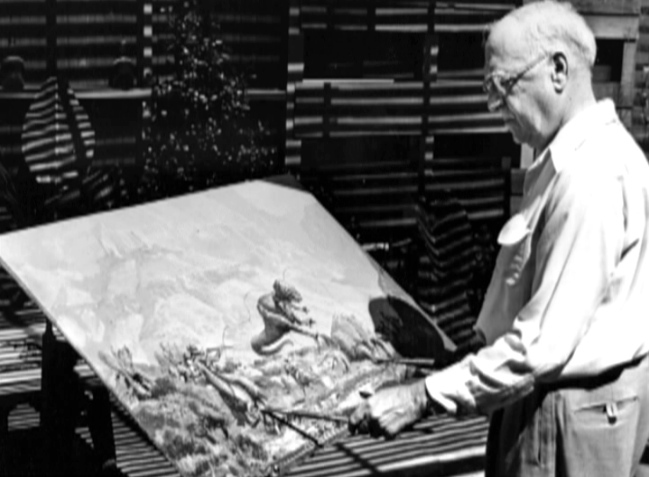 And it was while animating the sequence where the wranglers attempt to lasso the big ape that O'Brien gave Harryhausen a copy of the Gwangi script. Twenty years later, Harryhausen unearthed the old screenplay in his garage; and after dusting it off, he passed it on to Schneer, who immediately gave it his blessing. Entrusting the story to William Bast for a little tweaking and fine-tuning, Schneer then went to work assembling the cast and crew for the tentatively titled The Valley Where Time Stood Sill. Harryhausen, meanwhile put pen to paper, dreaming up several creature-concepts and some amazing action-sequences for what would eventually turn out to be the most intensive F/X-driven project of the animator's career. How did it turn out? Check out our full review of The Valley of Gwangi at 3B Theater for a full debriefing. What is it about Ray Harryhausen’s films that compel us to break out the Play-Doh and make some dinosaurs of our own? I myself was similarly addled by this imagination fuel. And though my dreams of being a creature animator never really went any further than that, I am eternally grateful for all the awe and wonder, the enchantment and the terror, Harryhausen has inspired over the years. That, and providing a conduit, a permanent link, to that sense of childhood curiosity, open-mindedness, and astonishment. And I encourage you all to watch these films -- or watch 'em again, to reconnect, and marvel as his animated creatures come to life. And not only come to life, but truly interact with the "other" actors, leaving us with another imponderable question: How in the hell does he do that? 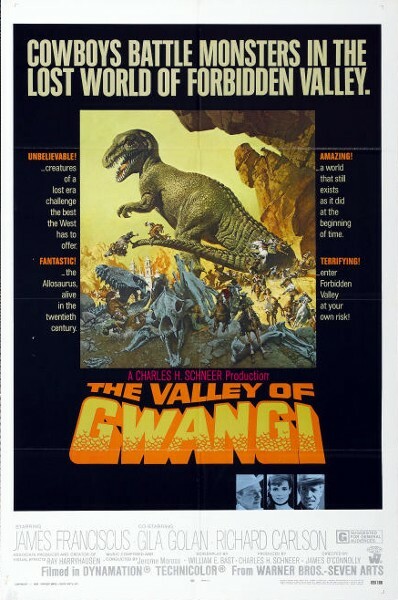 Full review of The Valley of Gwangi at 3B Theater. 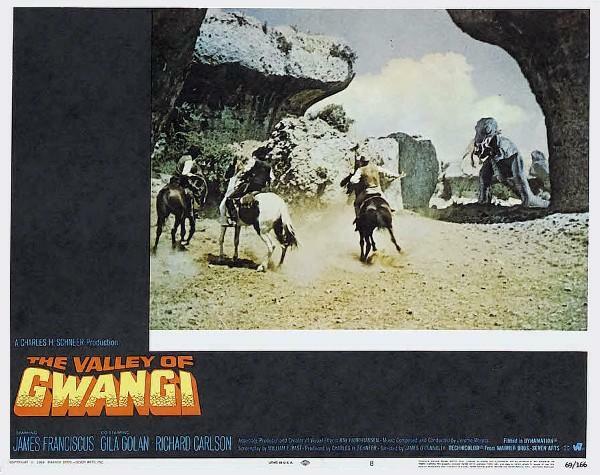 Poster campaign for The Valley of Gwangi at the Archive. Newspaper ads for The Valley of Gwangi at the Morgue.